Main flavours : sauvage, épicée, miel, foin coupé d'un soir d'été. Sensation : Une vanille sèche avec une vraie puissance aromatique. Aromatic range : Intensité caractéristique des Tahitensis Papous. Colour : Noire ébène - Reflet argenté des huiles essentielles. "Dry beans, cracked or broken : wonderful aromatic palette"
1. 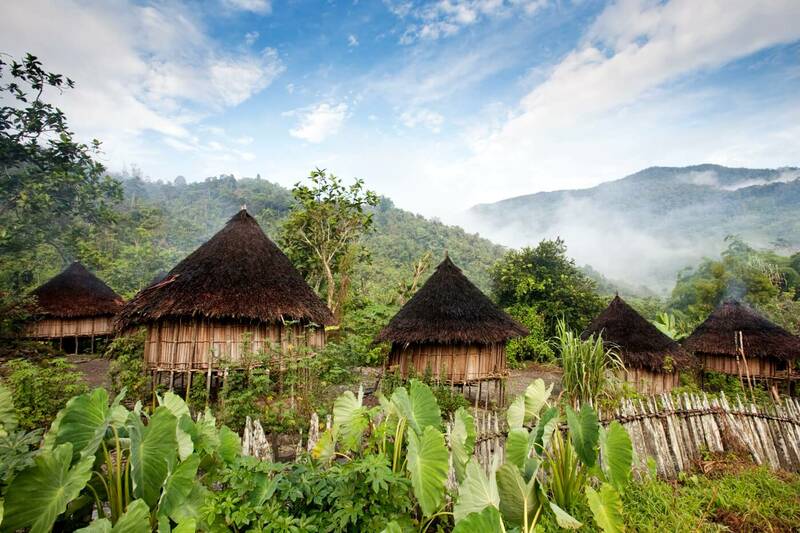 What is the Papua New Guinea Extraction Vanilla pods ? 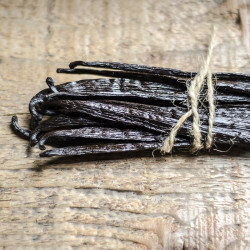 Extraction Vanilla is the most used type of Vanilla in the industry. It represents 90% of the transactions on the Vanilla market. This product is mainly made for professionals who want a high rate of dry matter. This is why the humidity percentage of this product is around 20%. The beans still keep all of their unique aroma and taste. My batches contain cracked, untracked and broken but always fully matured Vanilla beans directly harvested from the vine. 2. What can you do with my Papua New Guinea Extraction Vanilla beans ? Its aromatic palette is off the beaten tracks. Its main hints of spices are floored by a base note of dried herbs, liquorice and wild overtone. 3. How to use my Papua New Guinea Extraction Vanilla beans? My main recommendation is to grind or blend my Papua New Guinea Extraction Vanilla beans in order to enjoy its rich aromatic palette fully. You can let it macerate for 1h30 at 70°C (158°F) to create a wonderful vanilla extract. You can use a Thermomix if you don’t own or are not familiar with kitchen thermometers. Using a kitchen thermometer is easy as ABC : once you reach the desired temperature, stabilise your burner to keep the same temperature. The goal here is to avoid "breaking" the enzymes of your Vanilla. You’ll need 500g (18oz) of sugar, 500g (18oz) of mineral water and 20g (~11 drams) of Extraction Vanilla beans. Grind/Blend everything all at once for 20 seconds. Then, let it macerate for 1h30 at 70°C (158°F). Grind / Blend your Papua New Guinea Extraction Vanilla beans. You’ll want to use 5g (~2.8 drams) per litre of final product if you solely use milk as a base. You’ll want to use 15g (~8 drams) per litre of final product if you use a mix as a base (red berries, cocoa, coffee, etc). When offering Vanilla ice cream, try to make people taste 2 different vanilla ice cream as a combination. For example, serving a Papua New Guinea Extraction Vanilla ice cream with a Bourbon Gold Vanilla ice cream will sublimate both of ice creams as the two different varieties perfectly complement each other. If you want to try something new, you can also have 60% of your Vanilla input be Papua New Guinea Extraction Vanilla beans and the other 40% Papua New Guinea vanilla beans - Tahitensis Gourmet. As a result, the Gourmet Vanilla will bring round, floral hints as head notes, complemented by the spicy notes of the Extraction vanilla. A result to die for, truly. Each variety of Vanilla has its uniqueness, sublimated by macerating in Rum. However, your variety of Rum also has a big influence on your final product. It’s up to you to try and mix, according to your own personal tastes. I, for one, like to experiment and always have different Vanilla infused Rums. That way, I can always surprise my guests by serving them Rum with hints and notes they never tasted before. 4. My beans are getting covered with "frost". Is that normal ? No need to worry, it isn’t a sign of decomposition, it’s quite the opposite! When "frosting" happens, it means that the level of vanillin in your bean is so high, it starts oozing, creating small droplets that then transform in flakes that end up giving your bean this "frosted" aspect. It’s a sign of great quality. Even if the level of humidity is particularly low with these beans, they still went through the Gold maturing process that became my signature move. Choosing carefully my producers ensures the creation of more "frosting" batches in the near future. 5. How to keep your Vanilla beans fresh and how to properly use them? Hop over here to learn how to store and preserve your Vanilla beans. To enjoy all of its aromatic range, be sure to cut the bean lengthwise, scrape the seeds loose from the bean and add both to your recipe. Autant j'étais un peu déçue de la vanille de Madagascar achetée lors d'une première commande, autant je suis comblée par celle-ci. Elle est trés typée et j'adore. Mon mari également. Super produits, sachet très hermétique pour la conservation je recommande vivement ! !